Well, it’s that time of the year again! Every year during Black History Month, I do a series entitled “Legal Divas of Color”. The purpose of the series is to highlight the accomplishments of female attorneys of color — women who have been trailblazers in their own right in the legal community. Many of you have heard of the landmark education discrimination case “Brown v. The Board of Education“. However, before the Brown case, there was Ada Louis Sipuel. Ms. Sipuel was born in Oklahoma in 1924. She endured much during her childhood due to growing up during the height of the Jim Crow era. Her house was burned; her father, who was a pastor, was jailed unjustly. Ms. Sipuel lived in a time where lynchings of African-Americans were the norm. All of these experiences gave her a burning desire to see justice served, and to become a lawyer. However, the law school in Oklahoma did not allow students of color. Students who wanted to pursue a law degree were forced to go out of state, most notably to Howard University School of Law. The concept of “separate but equal” meant that segregated schools were the norm. Of course, although equal on paper, the schools were not equal in reality. White schools had better resources, leading to a wider array of opportunities for graduates. 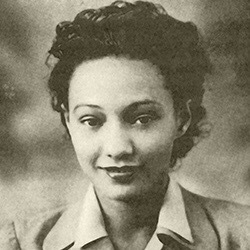 In 1946, Ms. Sipuel applied to the law school at the University of Oklahoma. The law school president reviewed her transcript, and indicated that there was no academic reason for her not to be accepted — only the color of her skin. With this information in hand, the NAACP Legal Defense Fund took on her case. The case went all the way up to the Supreme Court. Thurgood Marshall, who later became a Supreme Court justice [the first African-American to do so] argued masterfully as to why these “separate but equal” laws were unjust. The court agreed; Ms. Sipuel was allowed to enroll at the University of Oklahoma law school. The state of Oklahoma tried to get around this ruling by hastily building another school just for her but that plan failed. She then finally entered the law school with white students in 1949. Of course, knowing the time period, this was a difficult road for her. She was forced to sit at the back of the class with on the bench with a sign “Coloreds Only”. Despite the obstacles, she persevered and graduated in 1952. She decided to use her law degree as a teacher after briefly practicing law. She became a faculty member at the all Black Langston University, rising to become the chair of the Department of Social Sciences. Her alma mater finally righted the past wrongs by appointing her to the Board of Regents of the University of Oklahoma in 1992. Once segregated against, she then was able to run the school that had treated her unfairly. Ms. Sipuel passed away in 1995. Hear more of her intriguing story as told by her son Bruce. 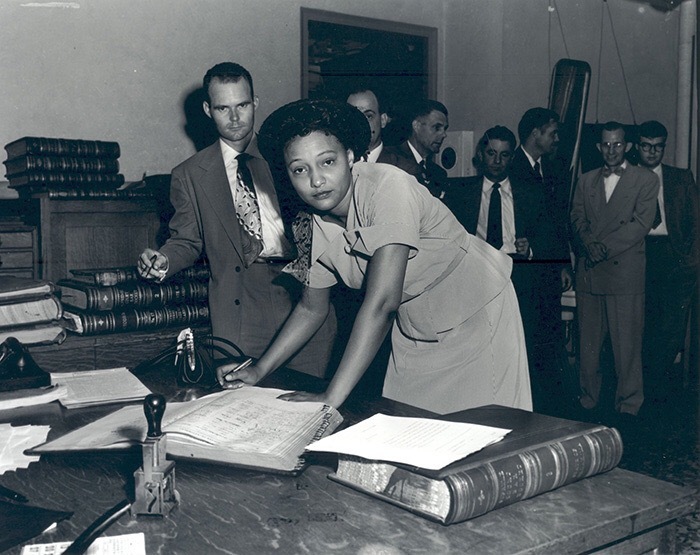 Thank you Ada Louis Sipuel for being Legal Diva of Color, paving the way for millions of African-Americans to be able to attain legal degrees. I would not be here without your sacrifice.